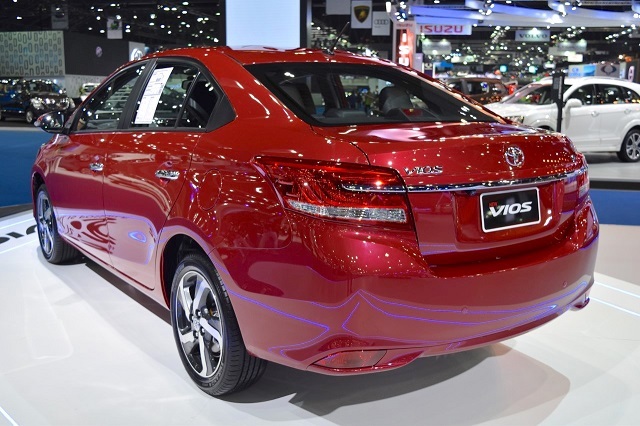 The Toyota Vios is a small family sedan which is mainly produced for the Asian market. It has gained major popularity especially in Malaysia, Philippines, Singapore, Thailand, China, and so on. For the Australian, American, Canadian and other markets, we know it as the Toyota Yaris sedan. The first generation of this model has debuted in 2002 and lasted until 2007 when it has been replaced by the next generation. After that, we have seen the third and the current generation which is on the market since 2013. The carmaker has recently revealed the 2018 model year which will bring several cosmetic changes, revised interior, and a few more upgrades in the tech department. However, this time we will talk about the new 2019 Toyota Vios which will arrive with the same upgrades as the outgoing model. The Vios is a subcompact 4-door sedan which delivers an excellent value for an affordable price. It offers a stylish and attractive exterior styling, interesting color choices, well-equipped cabin and several engines choices which are very fuel efficient. The 2018 model year has been refreshed with some changes both inside and outside, more tech equipment, and some new exterior colors. So, the 2019 model year will carry over the same design and options. Its key rivals include Ford Fiesta Sedan, Mazda 2, Honda City, and Nissan Almera. The 2019 Toyota Vios will get the same engine options as the current model. And there are two petrol units. The one is 1.3-liter while the second is a 1.5-liter 4-cylinder dual VVT-I unit. This one is able to generate 107 horses and the torque of 103 pound-feet. The entry level will work with a five-speed manual transmission. However, the other versions will be coupled to a continuously variable transmission. 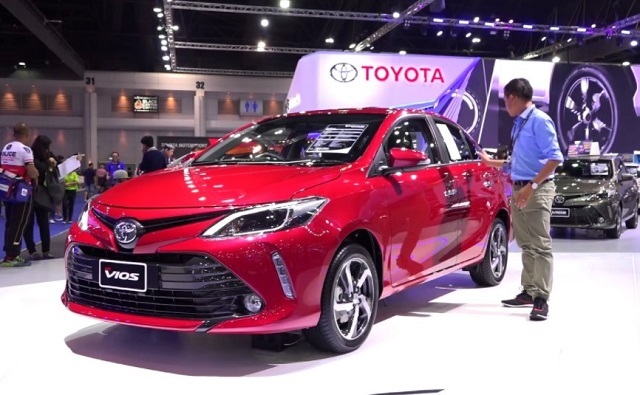 Speaking of the external appearance, the 2019 Toyota Vios shouldn’t get any changes since the 2018 model year has just been refreshed. It now looks more elegant but at the same time more aggressive too. The front fascia has gotten a new design of the headlamps and a revised grille. Depending on a trim level, the new Vios will feature the black spoiler, black wing mirrors, more red and silver details and the new shark fin antenna. As well, there are more red accents on the wheels and the new sticker on the side skirts. Furthermore, the Vios is available with more exterior colors which include Blackish Red Mica and Alumina Jade Metallic. 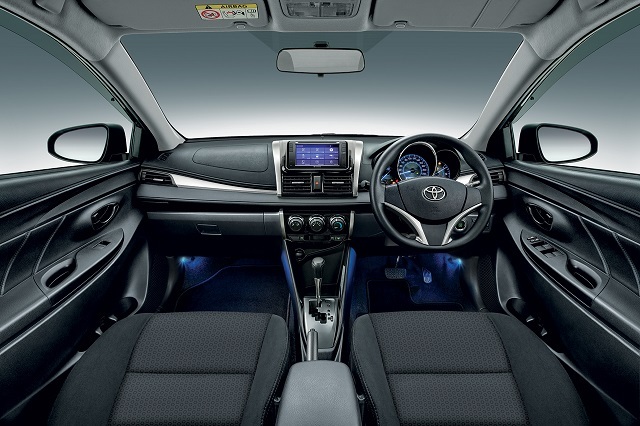 Inside, the 2019 Toyota Vios provides enough cozy interior with plenty of legroom for all the passengers. On the center of the dashboard, there is a large 7.0-inch touchscreen with Bluetooth connectivity. Depending on a trim level, the Vios will offer front parking sensors, the new DVD-AVX entertainment system, a reverse camera, ABS with electronic brake distribution, and brake assist. The arrival of the 2019 Toyota Vios is still not officially confirmed. The price shouldn’t differ much from the one of the current version.